You are here: Home / All / German kids’ books: How can I teach my children German? 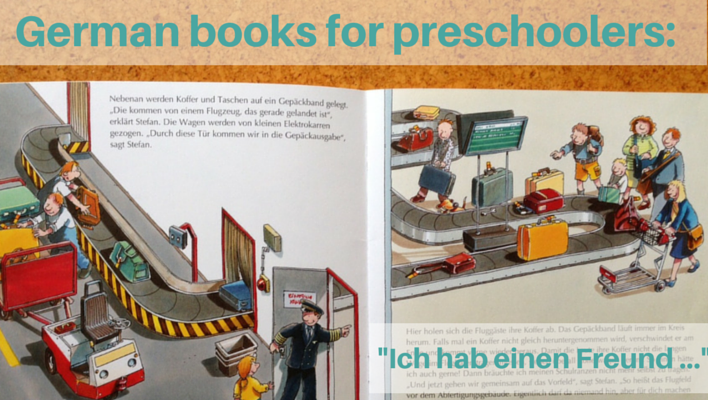 German kids’ books: How can I teach my children German? I was desperate to find children’s books in German. I really wanted my son to be able to speak German. Back when he was a baby, here I was, an Australian living in Australia, able to speak fluent German, and my son’s father is German. Despite that, it’s hard to help a kid grow up bilingual and I didn’t know a whole lot about teaching German for kids. One of the best things I ever did was to make sure we had a large supply of German kids’ books in the house. 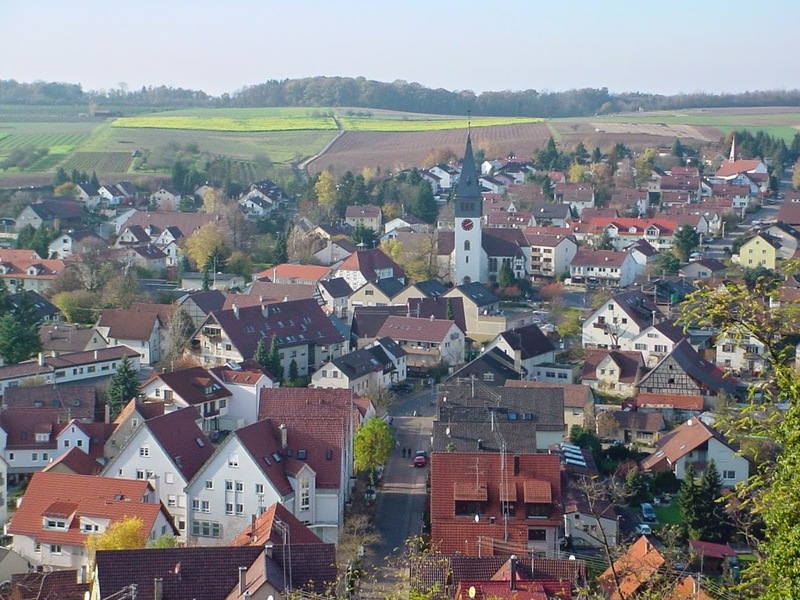 If you’re in a similar position to me and need help finding German books for beginners that your kids will enjoy, I hope the resources and lists I have here will help you out! Meine Freundin Conni – there’s an entire franchise around this girl and the books are great – and not “girlie” at all, my son loves them – highly recommended if you’re looking for some enjoyable German stories for kids. 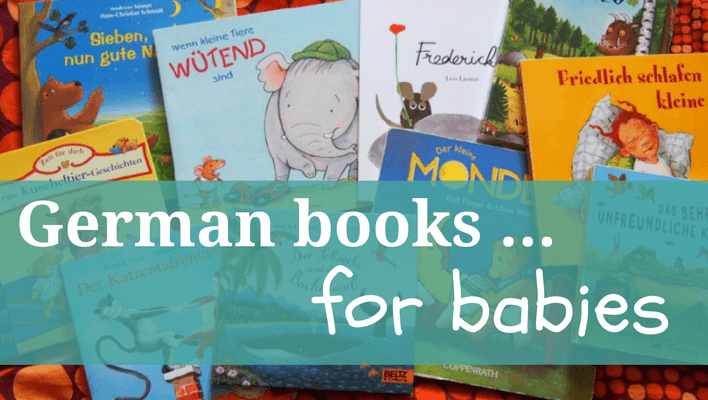 Wieso, Weshalb, Warum – these are fabulous non-fiction German childrens books about every topic under the sun and beyond. 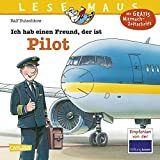 Die Maus from Sendung mit der Maus – this is one famous mouse in Germany and there are books and a whole lot more in his franchise – and all good. I began our collection of German books for children when my son was four months old and we took a trip back to Germany. After that initial burst I found I usually needed to buy German children’s books online and it was harder to figure out what books he’d like, and there wasn’t much information available. 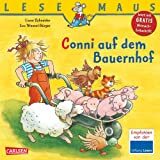 My German books for babies post has a list of many of our favourite German story books for young kids, including several really lovely “good night” stories: my all-time favourite, just so you know, is Abends, wenn der Mond aufgeht – “In the evening, when the moon rises” . Simply beautiful! When my son got old enough to have strong opinions about the kind of German children’s books we read, we turned to the large German collection of books about garbage trucks! 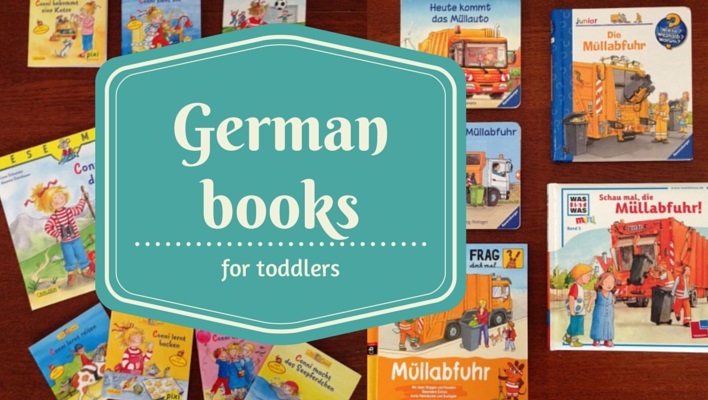 From ages four to seven (and counting), my son has a whole range of interests when it comes to books and, much to my delight, is very keen to read children’s German books nearly every night at bedtime. This means we need a steady supply! We also have an addiction to German non-fiction books for kids from the Erstes Sachwissen series along with pretty much everything in the Lesemaus collection as well. More detailed posts coming about these very soon! While I’m not a fan of too much screen time in general, call me crazy, but I’ve always felt a little better when he was watching German instead of English! NotABallerina.com is a participant in the Amazon Services LLC Associates Program, an affiliate advertising program designed to provide a means for sites to earn advertising fees by advertising and linking to amazon.com, amazon.co.uk, amazon.ca. Amazonand the Amazon logo are trademarks of Amazon.com, Inc. or its affiliates. Hmmm thanks for giving me the idea that I should buy some books for my oldest to start reading to her siblings as she starts her journey in learning German this year. As she will be doing 90% of her schooling in German, I’m thinking she will probably be better at reading that than english very soon. You are so right – I would totally be sending my son to that German school if we lived in Melbourne!!!! It’ll be fascinating to hear how she goes there and probably somewhat depressing for me when I see her German become way better than my son’s!! Such a great opportunity for her! The nice thing about learning to read in German is that at least it’s pretty much phonetic – my son is learning all about the billion exceptions in English these days and it is so frustrating!! We listen to a number of audiobooks/radio theatre as well, which I like because then there isn’t quite so much screen time. There is a radio station in Slovakia for kids that is available online, I wonder if there is something similar in German. Language is such a great gift to give to children (and I really regret that I don’t speak Japanese). Ah yes,I must look up the radio station for kids idea, I’m sure there’s something, good idea! And yes, even when he’s not enthusiastic, I try to remember that he’ll be really grateful when he’s older.